Wolves are disappearing every day, and the packs are becoming anxious. Can you solve the mystery and bring them home? Every 10 Moons, the clans come together and Unite under a strand of peace. The question is...Would this peace last? 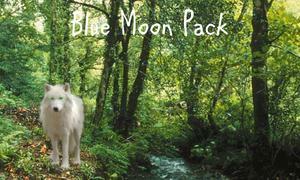 A strictly family orientated wolf pack with a specific complex joining procedure. You MUST be dedicated to join. A semi-realistic wolf pack roleplay residing in the valley of two mysterious and seemingly endless mountains. Semi Realistic Wolf RP | Faction System | Para RP | Wikifoundry |PM Hostile or Regina on Chatango for more details. A forum, play by post wolf site, set in a unique world of four lands called Anastasia. 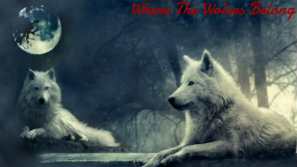 Will you wander alone, or will the wandering wolves band together to form a pack against all odds? Sparkledog is a semi-fantasy multi-animal roleplaying experience for authors of all skill levels to interact and weave intricate stories together. Welcome, weary traveler. Are you ready to face your destiny? With many stories to tell, and countless more to be made, we welcome you to our community. Discover your hidden power, which element will you choose? Luporum is an Semi-Realistic, Literate, Wolf Roleplay. The Pack is growing with a great wolf in charge, Alpha Kairos. Come Join our ranks today! Set in the beautiful setting of Yellowstone, we are a realistic and laid back wolf role-play. Semi-realistic, looking for more people to Rp. We are welcome to any Rp's from beginner to advance. Just some place to come and have some fun!! Takes place in the Alaskan wilderness and Canada. Intrepidus is a new freeform, post-apocalyptic wolf RP set 2000 years after Humans were cast out as the dominant species. Now, the wolves reign supreme. Join us! Wild Lands: Revival offers free form RPG, basically anything goes! We are rated 18+ because sexual content is allowed, as is extreme violence and gore. Any species goes! A beginner to intermediate semi-realistic wolf-rpg. We're just starting out and with plenty of freedom for plotting and development, we hope to see you there! Seasons change and each new season brings new challenges. Will you survive, raise offspring to create a new generation? The Afterlife is a wonderous place, but what is really happening in your Next Life is nothing you were prepared for. A magical, multi-species rp site that has a lot of friendly users! We believe in friendship and family and a community of everyone of all ages. Many things to pick from and creativity is encouraged! "For as long as there has been wolves, there has been Syndrana." A semi-realistic wolf pack roleplay that welcomes roleplayers of all levels. Semi-Realistic Wolf RP. Two Packs trying to figure out where their Packs belong in the Forest. Site is active, it was created Feb. 19, 2014. The disease that wiped the earth of mankind has returned, and it's starting to change its hosts somehow. Reports of unearthly powers are arising all over Toren while more and more become infected. Fantasy Wild canine and feline RP. A meteor storm cause crash landings of beings with powers. Who are they, where are they? Crimson Creek is a brand new Semi-Realistic role playing site in need of some members. Please check it out! Thank you. A canine and feline literate roleplay with over 20 species to choose from and over 25 places to rp in. Fifty years ago man vanished, leaving their pets behind. The wolves rejoiced as their overlords were gone, but the dogs mourned for they lost their family. When you have the ability to manifest the realms, control an element, and all the while love like no other, will you take that chance? A semi-realistic, wild canine roleplay. Intermediate- advanced roleplayers. Check us out and help us create something amazing and something treacherous. Iridescent was originally opened in 2017, and is now making a comeback! High Positions are open, and a new plot is underway! We want to make it as active as possible! Come over and join us! Dominus is a play-by-post, semi-realistic, liquid time, present day, post-apocalyptic wolf roleplay that takes place in the land of Dominus. We have everything except you! Looking for new, active wolves for our pack. We're located on irc.sorcery.net in #dawnrunners. Any newcomers or veteran roleplayers are welcomed. Please check out our forums as well! King Arthur had his story, but what the world didn't know was that wolves were involved to. Unrealistic, literate and active. A brand-new semi-realistic wolf rp. In a land never touched by man two packs grow, flourishing. But a great evil is growing... and soon there will be a war.